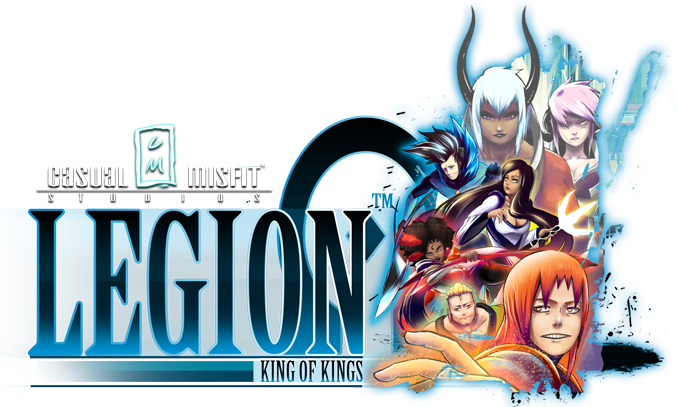 Legion: King of Kings is an ongoing manga series, free to read online. It is written and drawn by one man, Seán Lee and hosted at casualmisfitstudios.com. It is the story of a young man, for the first time, discovering the exciting, captivating and sometimes frustrating world of MMORPGs. We are also working on a two youtube channels. 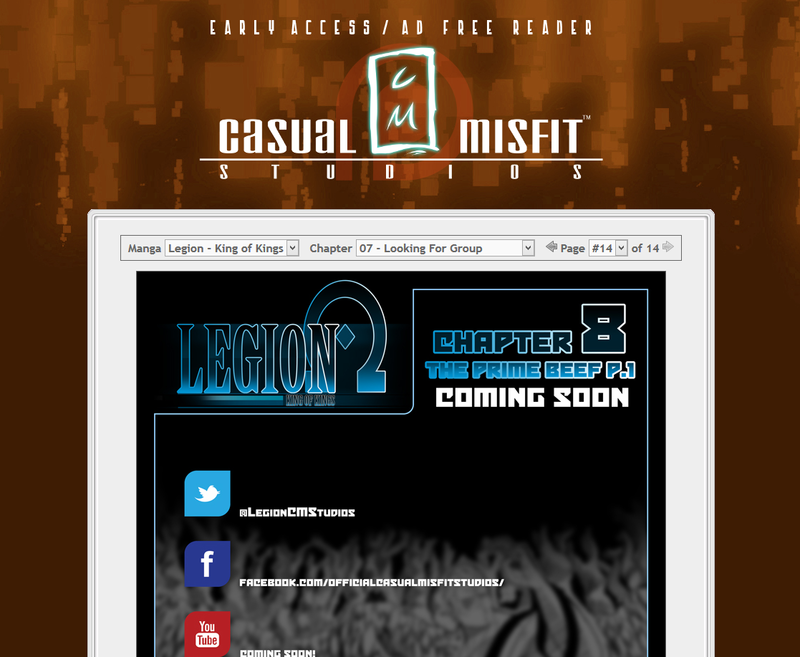 which will host a number of videos showing and discussing the process of making Legion: King of Kings. Such as speed inking videos, tutorials, Q&As, and general things that make us tick. A "let's play" and game review channel where the Author of Legion (Sean-Lee) and his friend Ben take you through some of their favorite video game titles, old and new..
As an added bonus, we will be eternally grateful, as it will allow us to expand on this project even further. Please be aware. While payments are set to "Per chapter release" we will NOT make charges for more than one chapter a month. We will NOT charge you if a chapter does not release on any given month. Charges will be made 3 days before early access release. You can now access behind the scenes and work in progress (WIP) content. This includes sketches, concept art and scrapped pages/ panels. Early access (2 days) to youtube videos when they become available. These include tutorials, speed inking process, and Q&As. Your name in the credits of every chapter released. The place you read this free manga, for free, isn't... well, free. With this milestone reached we can sit back and enjoy good manga without the worry of a sudden black out. CM/Sean-Lee: "I'll also be able to spend more time working on Legion."